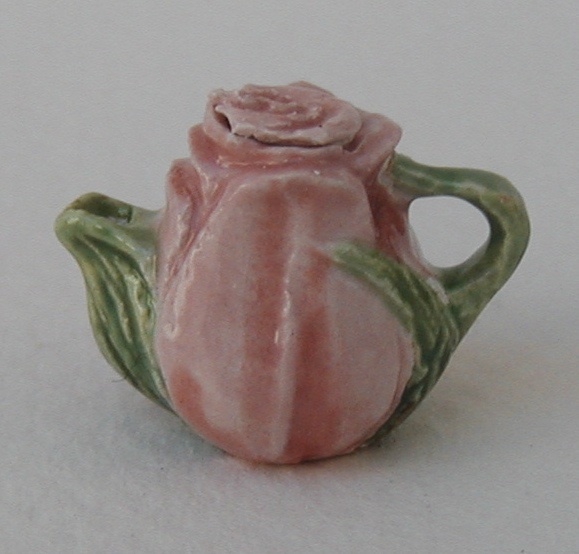 One of the prettiest teapots I make. 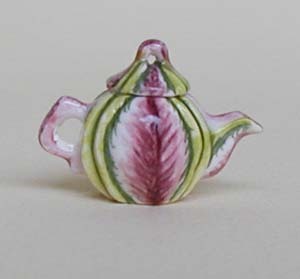 Originally just a Tulip Jug, but now a teapot as well. 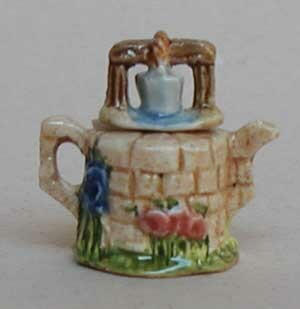 This is another of Mr. Wedgwood designs, early, and in his day all done with glazes. 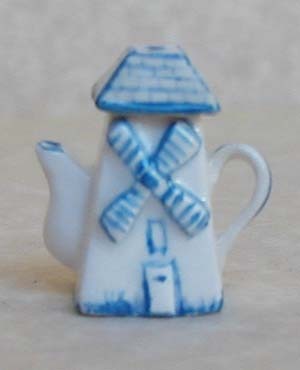 My version of a dutch style teapot or coffee pot. 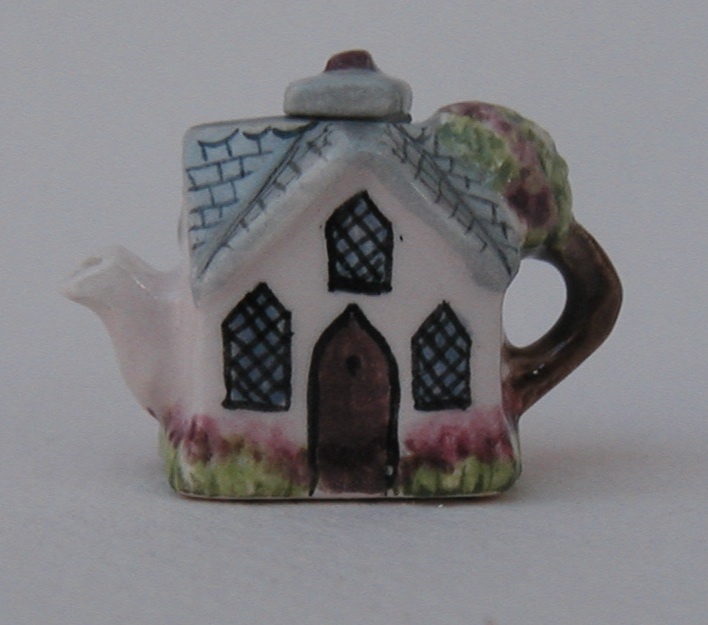 I saw a sculpture made in the 1930's that inspired this teapot. 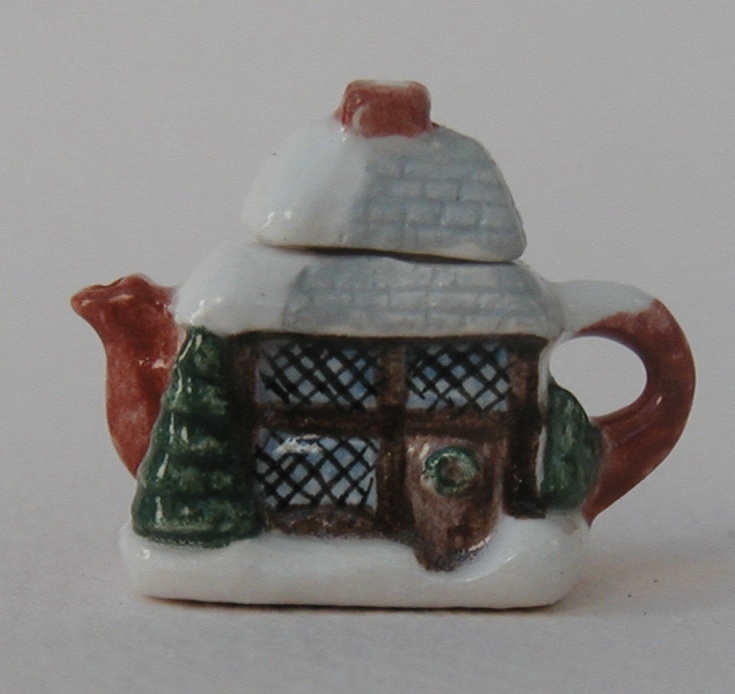 A cute little christmas cottage.